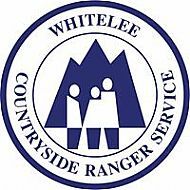 The Whitelee Countryside Ranger Service offer an annual program of guided walks and activities that are free of charge and provide an opportunity to not only explore Whitelee Windfarm, but learn about its history and biodiversity amongst other things. With the range of activities and routes on offer at the site there should be an activity to suit all ages, abilities and interests. TREE are a local group of volunteers dedicated to improving the appearance of Eaglesham village and encouraging community spirit. Volunteers welcome! The association is open to everyone through membership or by day ticket. Eaglesham History Society was established in September 2012 following the success of the Eaglesham Heritage Trail. A group of interested people attended an open meeting at which Eaglesham History Society was born. The aims of the Society are to provide knowledge of local and national history, collect and catalogue items of local history and to undertake research into local history. Membership has remained strong in our first four years, with around 90 active members from the village and further afield. Visit Eaglesham History Society Website for more information.